You missed it this year, since it ended today, but I have one for you for next year. First of all, the cost for the Wyoming Native American Education Conference is an unbelievable $25. Yes, you read that right. Seriously, you could buy a plane ticket to Casper with what you save on the conference fee. 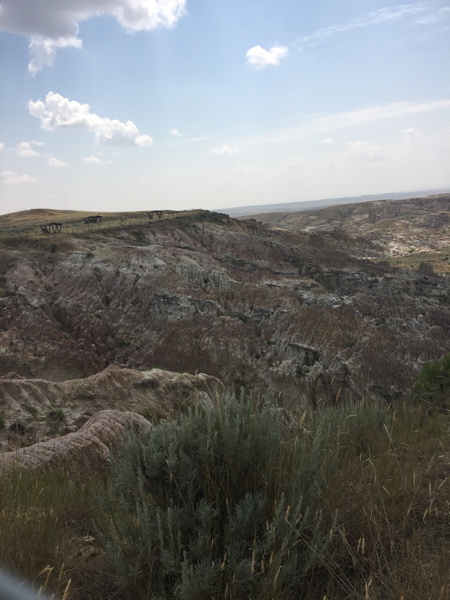 Secondly, it’s in Wyoming in the summer, which is flat out beautiful. I took these pictures just of places I was passing by. 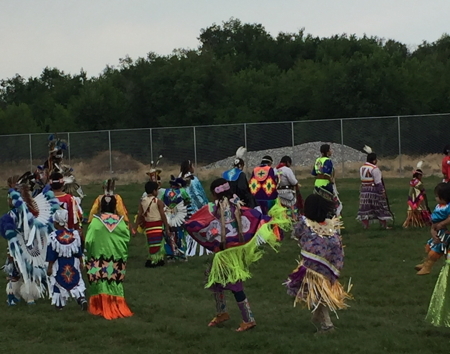 There is a pow-wow at the end of the conference. Both the drum groups and dancers are really good. There is dancing in the evening, as well, and all of the dancers are really good. I was particularly impressed by the hoop dancers the past two years. All the hoops that girl has on started out on the ground and she picked them up one or two at a time with her feet and never stopped dancing. Could you do that? No, you could not. Don’t lie. What about the educational part, though? What if I don’t teach a lot of Native American students? I went to a session on strategies for engaging students in math by Chad Lemley. These included revealing the problem one sentence at a time, so students are guessing what comes next, giving a 30-second “flash problem” when students have 30 seconds to write down what they think is important and a bunch of other cool ideas. I attended another session by Iva Moss-Redman, Carla Hester-Croff and Michael Redman on using computers to teach. 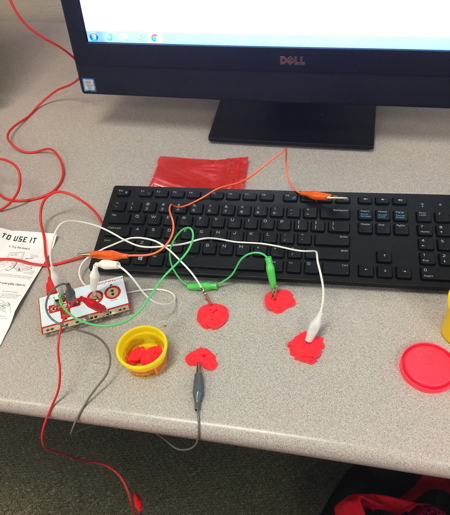 The examples included electronics projects with makeymakey and coding projects with agentcubesonline.com . Another session, by Terri Bissonette, discussed trauma-informed schools. While many types of trauma may be more common for Native American students, childhood trauma is definitely not limited to Native American children. My presentation discussed using project-based learning, centered around computer games, to involve students as producers, not just consumers, of technology. These sessions would be useful for anyone who teaches, whether their students are Native American or not. What if my students ARE Native American? There are lots of sessions specifically focused on Native American students. For example, I attended a presentation by Finn Thye and Yolanda Hvizdak on native language technology to reduce suicide. 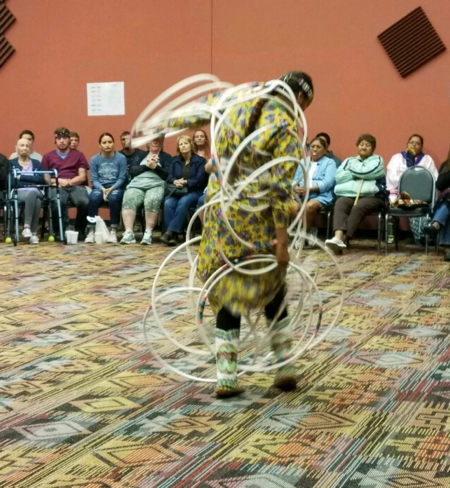 They focused on teaching the Arapaho language and discussed specific research and methods. However, a lot of their ideas, such as labeling common objects, parents learning the language with their children and apps to pronounce word could be applied to any language. So …. 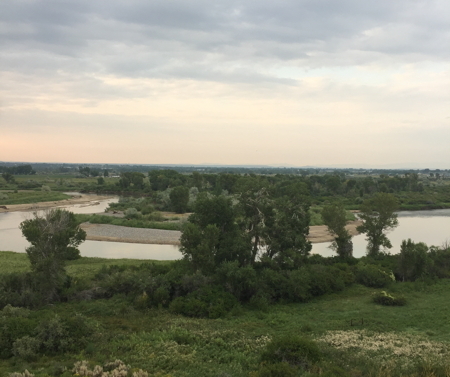 if you need some continuing education next summer, think about combining it with some scenery and culture at the Wyoming Native American Education Conference. When I’m not attending conferences, I’m making games. Check them out! Buy them for yourself. 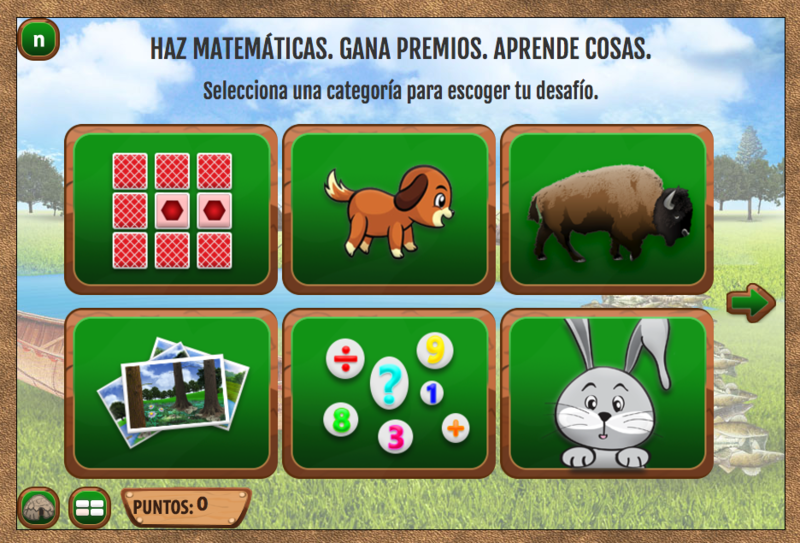 Download our free apps. Donate to a school.